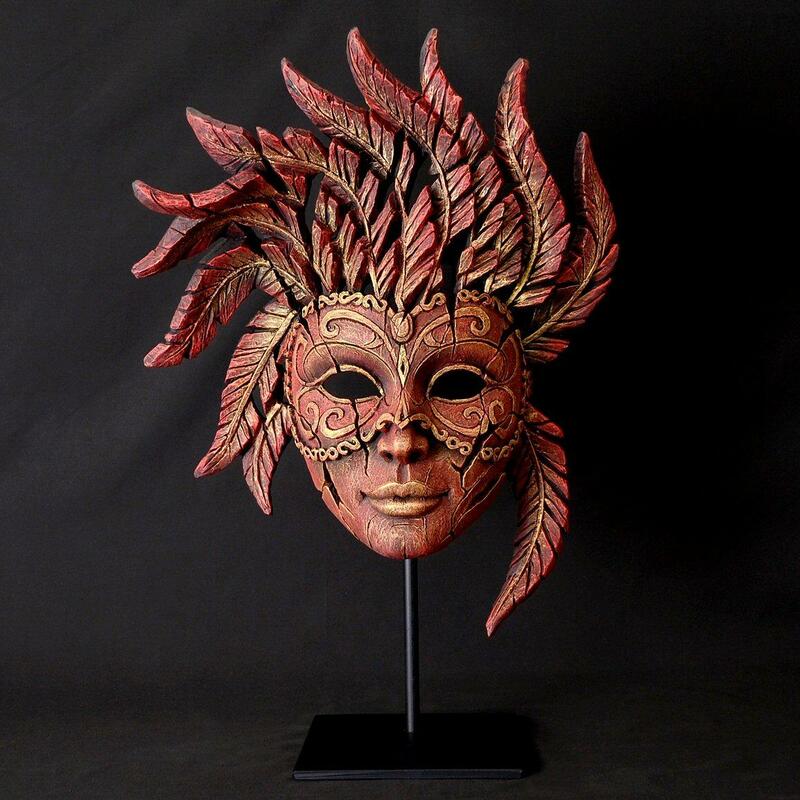 Venetian Carnival Mask by Matt Buckley from the EDGE collection. The Carnival of Venice is an Italian tradition that goes back many centuries. Synonymous with this major ten day event is the wearing of elaborate costumes and masks. The masks themselves date back to the 13th century where they would be worn at parties and other social occasions. 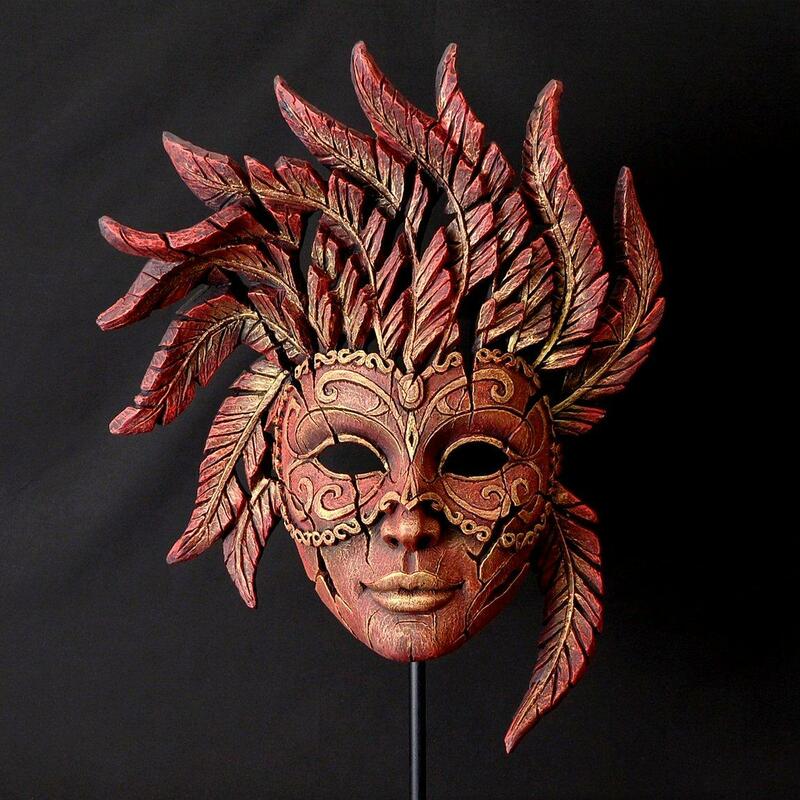 There are a number of different styles of mask, each with different origins. Matt Buckley's striking sculpture showcases the Columbina style of half-mask. This sculpture comes in red tones but there are also versions in TEAL EDM02T, ANTIQUE WHITE EDM02W, BURNISH EDMS02 and RED and GOLD MASQUERADE EDM02M. Comes with a metal presentation stand but also includes a bracket that allows it to be mounted flush on a wall. Size: 49.5 cm high, 40.0 cm long, 16,0 cm deep (19.5 x 15.75 x 6.3 inches). Height including metal base 58.5 cm (23 inches). Cold cast marble resin, hand finished and painted.